Suzanne Crudden Custom Jewellery > Blog > News > Pastel Dress Party Pop-up! 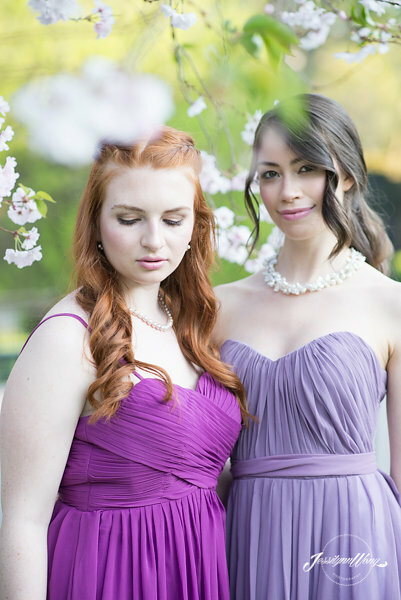 Bridesmaid dresses. What comes to mind when you read that sentence? Hideous? Ill-fitting? Costly? Well friends, I have some good news. The Pastel Dress Party company is headed to the studio this weekend to solve all of your bridal party problems. Brides and their ladies now have the option to purchase their dresses online from a large selection of affordable, beautiful dresses that are custom-made just for you. This is an option that the guys have had for a while now but finally that gender styling gap has been closed. For those who are intrigued but still want the oppotunity to see and touch the dresses in person, The Pastel Dress Party will be holding a pop-up shop at the studio this weekend. If you would also like to test out some jewellery while you’re there I’ll have some samples from my bridal and bridesmaid collections to complete your look. Come join the party this Saturday, Apri 25th and Sunday, April 26th from 10 to 6!